Get 50% off your 2014 wedding photography or videography package! Contact us to see if your date is available, and if so, you can book your date with a simple down payment (applicable to your package total—which we will determine at our meeting). We will schedule your wedding design consultation to establish what you want in your custom package (at 50% off! ), design a plan for your unique wedding, and walk through the next steps for your exciting day! Contact us now to check your date! Get 25% off your 2015 and beyond wedding photography or videography package! Contact us to see if your date is available, and if so, you can book your date with a simple down payment (applicable to your package total—which we will determine at our meeting). 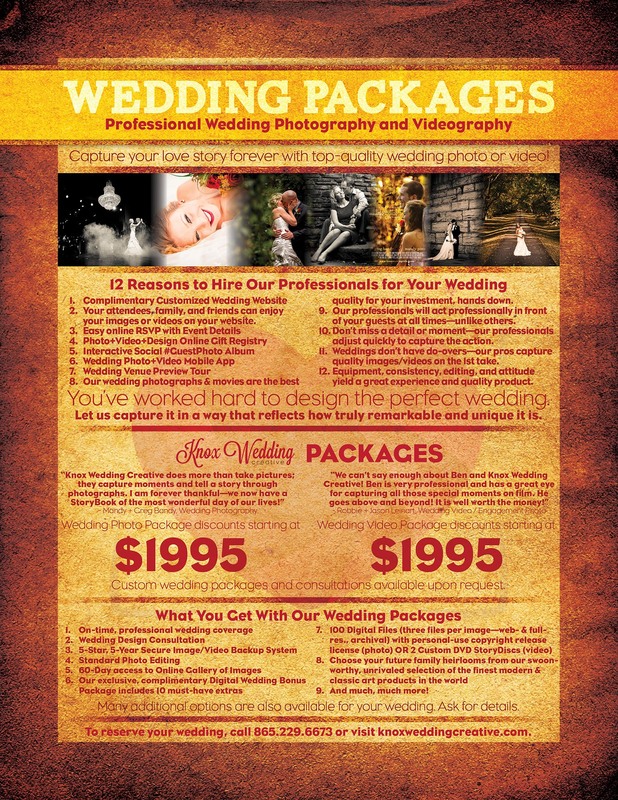 We will schedule your wedding design consultation to establish what you want in your custom package (at 25% off! ), design a plan for your unique wedding, and walk through the next steps for your exciting day! *Special offers not valid with any other special offer or discount. No cash value. Do you own your wedding and engagement photographs? Odds are, you don’t, and you may not have any real legal right to use them at all! Recently, we’ve had a few conversations with brides about their wedding and engagement photographs and what they want to do with “their” images. These brides were under the impression that because they had hired a photographer for their wedding and engagement photography, and possibly because they were in the images, that the images were “theirs”—as in the couple owned the images and all rights to them. This is becoming a common misconception among the wedding industry, and it seems to be primarily coming from the influx of new, inexperienced, and less-educated photographers offering their services to couples for their wedding and engagement pictures (they aren’t the only ones that are pushing this myth, however). Make sure you know your rights as a customer of a wedding photography company—you may be unknowingly breaking the law! According to the Federal Copyright Laws of the United States of America, the individual who takes the picture owns all rights to that image. You may or may not have already been aware of this—however, hiring a photographer (or “commissioning” them) to create your wedding photographs doesn’t imply or signal a transfer of ownership. “Copyright” describes the rights given to creators for their literary and artistic works. But we often don’t consider copyright when we look at our family photos, or go to get them copied. Even though it is so easy to copy an image—with scanners, photo-quality printers, and copy stations—it is still illegal. It means that if you are in possession of digital images from your engagement or wedding and share them on Facebook, send them in an email, post them on Instagram, or have any print or product created from them—regardless of the size or where it was made—you are breaking the law. 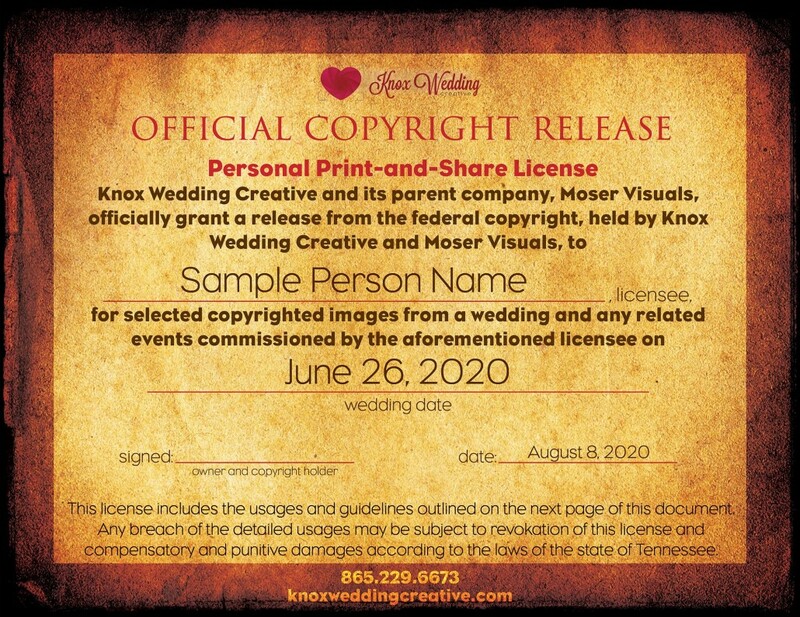 This is a sample cover page for an official copyright release license from Knox Wedding Creative. If your photographer delivered digital images to you, they most likely meant to grant you some form of a release from the Federal Copyright for those images—which we call a license. This license outlines what rights you are and are not granted (what you are allowed to do with the images and for what period of time you can do it). To be in the clear, you should obtain written documentation of your copyright release license for the images. Please note: Don’t be shocked if your photographer refuses to sell or offer you the copyright ownership for images. Most photographers will not offer clients the ownership rights to any images they take. Transfer of copyright ownership for photographs in the wedding and portrait industry is incredibly rare for true professional photographers. Why does the copyright matter? This is the real document we provide customers who receive our Full-Resolution Digital Images Gift Set. 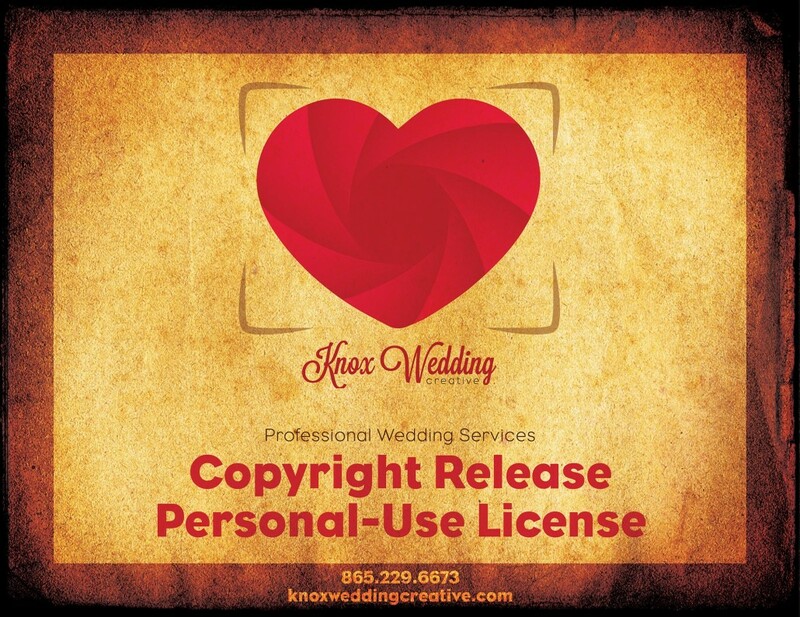 It is a legal release from the copyright so they can use the images to do almost anything they would like with their wedding and engagement photographs. Just because you buy a print does not mean you have purchased the copyright. Under the Federal Copyright Act of 1976, photographs are protected by copyright from the moment of creation. Photographers have the exclusive right to reproduce their photographs (right to control the making of copies). Unless you have permission from the photographer, you can’t copy, distribute (no scanning and sending them to others), publicly display (no putting them online), or create derivative works from photographs. Professional photographers are dependent on their ability to control the reproduction of the photographs they create. It affects their income and the livelihood of their families. Even small levels of infringement—copying a photo without permission—can have a devastating impact on a photographer’s ability to make a living. Copyright infringements—reproducing photos without permission—can result in civil and criminal penalties. 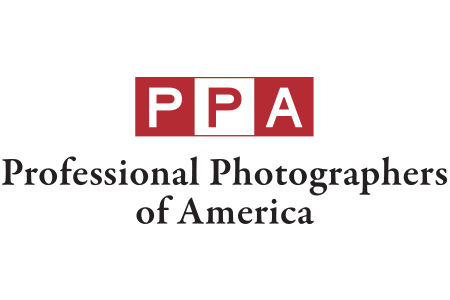 Click here to see more information from PPA about copyrights. This is the third page of our copyright release license, which includes the terms and conditions of the legal agreement and the rights granted to the license holder. It’s technical and sometimes boring stuff, but it makes a huge difference to you on what you are allowed to do with your images. At Knox Wedding Creative, we don’t leave you in limbo—we let you know what you can do and give you the documents to prove it! 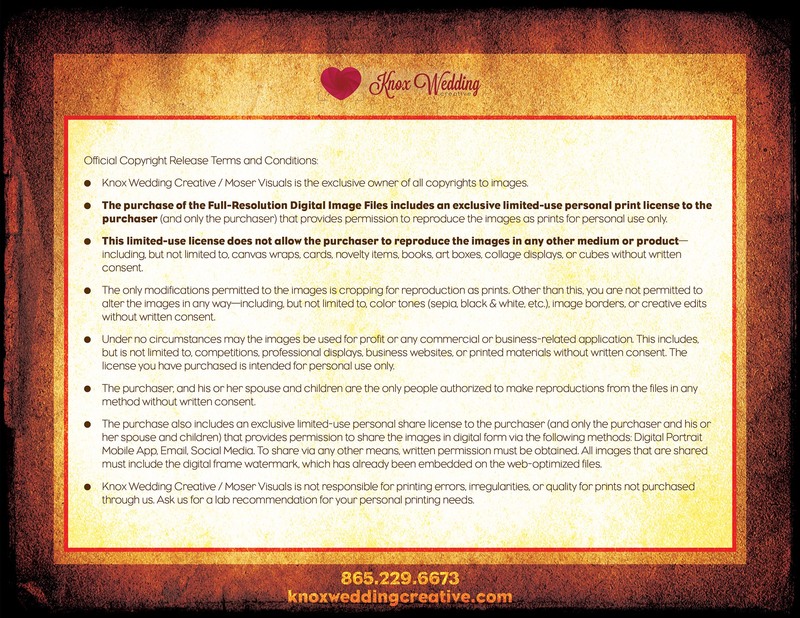 We spend time educating our brides on what her rights are, and we offer written documentation of copyright release licenses with our digital image files. All of our clients know they are safe because they have a legal document outlining what they can and can’t do with their images simply because we communicate that with them. In addition, we provide clients who want digital image files in their packages with three versions of every image and two guides on caring for digital and print images—so your photographic memories last as long or longer than your recollection of the event itself. 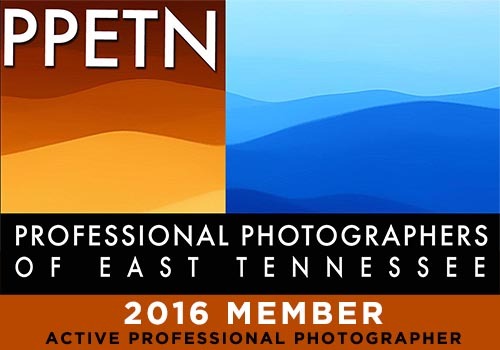 We are also members of the Professional Photographers of America and our owner serves on the Board of Directors for the Professional Photographers of East Tennessee, the local affiliate of PPA and the only professional photography trade organization in the area. If you have any questions about your rights as a consumer regarding photography—regardless of whether you are a Knox Wedding Creative client or not—we encourage you to contact us and we can help you determine what rights you may have and what documentation you may need (P.S. : this is not an offer for legal consultation or advice, merely a kind offer for guidance and our best analysis of your current situation). Picking a wedding photographer, wedding videographer, or wedding cinematographer is simple, right? You go to a bridal show, find one with the right package price and a great deal, a pretty booth with pretty pictures (or movies) and sign on the dotted line. You get to go home happy you saved a lot of money and check wedding photography, wedding videography, or wedding cinematography off the wedding planning list until you end up following up for the free engagement session or maybe a couple of weeks before your wedding to make sure you’re on the same page. But that’s not how it’s supposed to be! In this blog series, we will share exactly what to look for, how much to pay, what to ask, and essentially how to go through the process of picking a wedding photographer / videographer / cinematographer. First, it’s important to go over some important characteristics and why they’re important! Don’t assume all wedding photographers, wedding videographers, or wedding cinematographers are the same! The artistic images are often the most powerful and memorable wedding photographs. Not all of us are professionals. Not all of us do this as our full-time job. Not all of us care about the art of photography. Not all of us keep up with trends and the market. 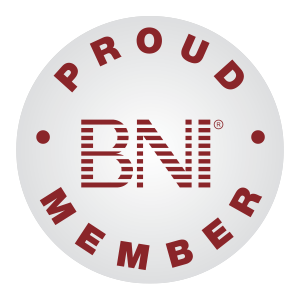 Not all of us are active members of professional associations. Not all of us design the experience our clients have. Not all of us educate our clients on the benefits (and drawbacks) of different media for images. Not all of us share our success by giving back to those in need. We will cover why each one of these characteristics is relevant to you with different posts—so you don’t have to take it all in at once! What are professional associations and why do they matter? 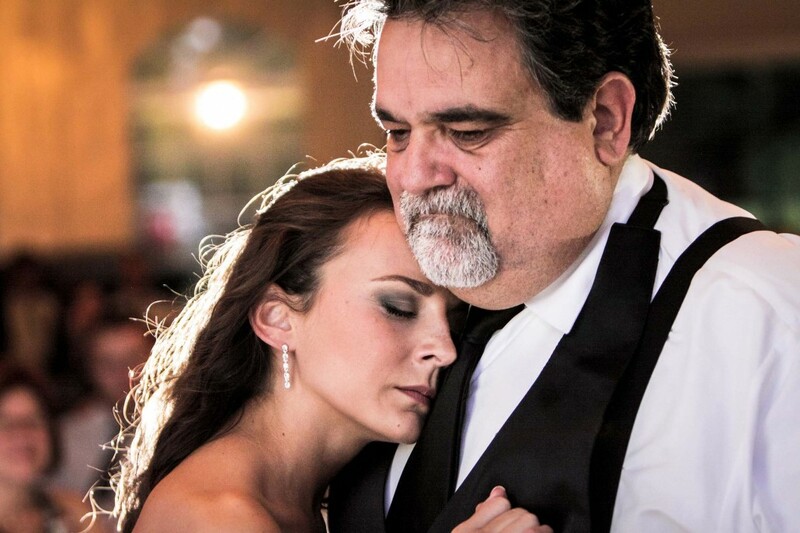 This image from a Knox Wedding Creative engagement photography session was the top-scoring image at the 2014 Professional Photographers of East Tennessee annual image competition. Not only does it symbolize quality for brides looking for their wedding or engagement photographer, the competition provides critiques to the members so they may refine and improve their photography skills in the future. There are a handful of local, regional, and national professional associations that wedding photographers / videographers / cinematographers can be a member of, each of which are fairly unique. Why do they matter though? First, members of local professional associations are regularly surrounding themselves with other quality professional photographers / videographers / cinematographers—some of which have more experience, some less, but all have the goal of becoming better at their craft. Another reason these associations matter for you is they often hold competitions with professional judges and give out awards to the best work. If you see that a wedding photographer / videographer / cinematographer has won awards from a professional competition, you know they have experience, offer high-quality services, and their work was independently deemed to have been better than their peers / competitors. Lastly, you want your wedding photographer / videographer / cinematographer to be actively involved in such an organization simply because their membership is almost symbolic they have most of the other characteristics of the best wedding photographers / videographers / cinematographers we’ve mentioned in our other “How to” articles on hiring photographers / videographers. “The State of the Estate” was the top-scoring image in the Commercial – Architectural category in the 2013 PPETN competition. When searching for your wedding photographer, make sure you recognize a variety of skills in your wedding photographer. You’ll get a greater variety of quality images—in this case your venue will be photographed beautifully as well. Stay tuned for more great tips by getting social with us! P.S. : Want to customize your wedding photography or cinematography experience? Click to setup a free consultation with us and we’ll start designing your wedding ASAP! Do you have any additional advice or suggestions for other brides about the value of hiring a photographer or videographer who is a member of a professional association? Share them in the comments below! One of the joys of ramping up for wedding season is meeting with brides at the open house of a Knoxville wedding venue. For the wedding vendors, it’s actually an opportunity to enjoy the beauty of the venues and each other’s company while we aren’t focused on working a wedding. Most of wedding season, we see each other at the weddings we work but rarely can stop and talk very long. We’ve been lucky enough to attend many of 2014’s open houses and shows, including at Dara’s Garden/Rothchild Catering & Conference Center, Whitestone Country Inn, Crescent Bend House and Gardens, The Pavilion at Hunter Valley Farm, The Reserve at Bluebird Hill, Fox Den Country Club, The Pink Bride Bridal Show, The Bridal and Beyond Show, Women Today Expo, and Belk – West Town Mall (we think that’s it!). This weekend, however, we did something a little different when the Bleak House opened their doors to show off the property to couples looking for a space for their wedding, reception, or special events and parties. The Bleak House was putting on a “staged wedding” for brides to get an idea for what their wedding might look like, and we took lots of pictures—especially of the gorgeous floral arrangements by Melissa Timm Designs. In addition, The Gilded Gown and Savvi Formalwear teamed up to put on a brief fashion show to display some of this year’s trends in formal wear. Lastly, a delectable spread of quality foods were prepared and shared by Bradford Catered Events. 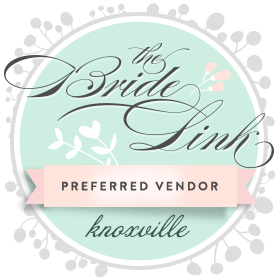 Click here for a full list of vendors at the Bleak House! 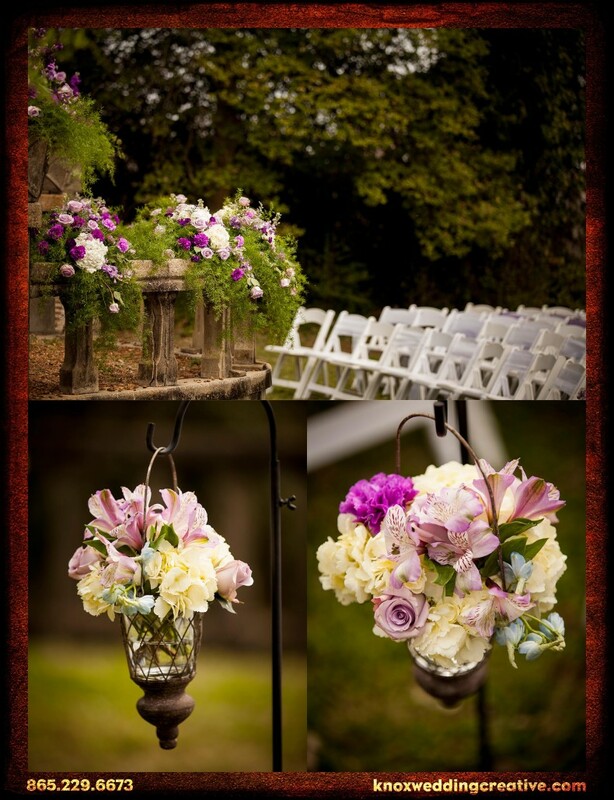 The Bleak House was beautifully decorated by Melissa Timm Designs with floral displays in all shapes and sizes. This delicious cake with raspberry filling on the inside, as well as the large display of foods (not pictured) were provided by the wonderful folks at Bradford Catered Events. These beautiful floral centerpieces and rental items are a small sample of the variety you can get with Melissa Timm Designs. Melissa also decorated the “Romeo & Juliet Balcony” at the Bleak House with arrangements that were draping over the rails beautifully. All of the lovely wedding gowns and dresses pictured were provided by the Gilded Gown. The Gilded Gown offers more than just wedding gowns! The sharp menswear in the Bleak House fashion show was provided by Savvi Formalwear—with locations in West and East Knoxville. How to Pick a Wedding Photographer or Videographer #3 – What is the ‘Art of Photography’? What is the ‘art of photography’ and why does it matter? Impact is the number one element of a merit image for a reason—it is what moves us most! Storytelling is also important for context…like this father and daughter savoring the last moments of their dance before so much changes for both of them in life. Breathtaking images or films aren’t accidents—they are crafted by artists who have studied and practiced (and studied and practiced) using a camera to paint a captivating story worth sharing and talking about. Composition is an artistic tool that can be used creatively—like with the negative space in this image of photographic art. Art is subjective, so each viewer will have their own judgement to make—but professional wedding photographers / videographers / cinematographers who are continuously seeking artistic refinement in their skills and further education will consistently produce better and more beautiful images than those who rest on their laurels. These 12 elements should be present in the current work of your prospective wedding photographers / videographers / cinematographers, and you should ask them about how they seek to capture or use each in their art. This point leads to next week’s post on “Why Professional Associations Matter”…so stay tuned for more! Do you have any additional advice or suggestions for other brides about the artistic value of your wedding photos or movies? Share them in the comments below! Wedding Tips: How to Pick a Wedding Videographer or Photographer #2 – Why Does Full-Time Matter? A Full-Time Professional Wedding Videographer / Cinematographer / Photographer is basically a professional who does this as their only (or primary) source of income. Intangibly, it means the wedding photographers / videographers / cinematographers are focused on one field of expertise for their career. Practically, it means the wedding photographers / videographers / cinematographers have the ability and flexibility to serve clients (you) without distractions, work commitments, or other inconveniences. 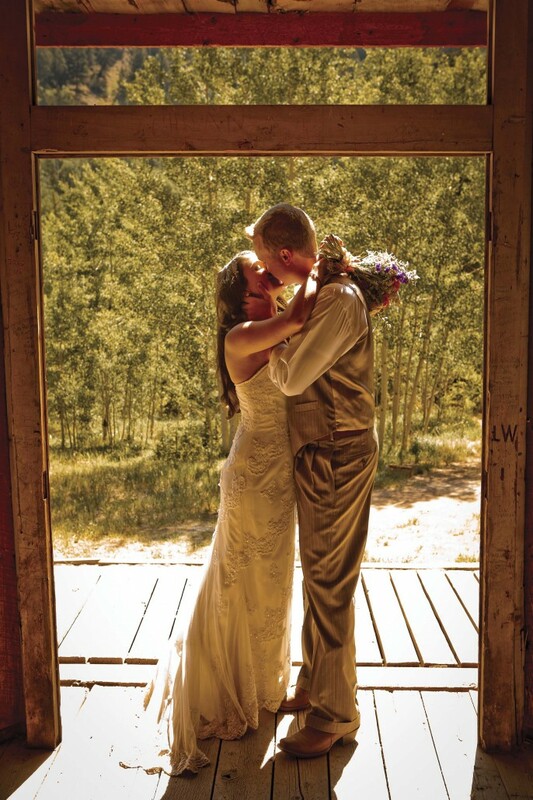 This couple chose to have a destination wedding in Aspen, Colorado. As a full-time wedding videography / photography business, we were able to travel to capture their wedding at their convenience (and with no scheduling hassles to them whatsoever)! Most “professional” photographers / videographers / cinematographers (even though they are playing by the rules) don’t actually do this for their full-time job. This may seem inconsequential to you at first, but it’s actually a big deal. Wedding photographers / videographers / cinematographers that don’t work full time will (in most cases) spend a minimum of 2,000 hours a year (40 hours a week, 50 weeks a year) focused on work that doesn’t relate to wedding photography / videography / cinematography. What can you do with 2,000 hours a year? Full-time wedding photographers / videographers / cinematographers spend it honing their craft and refining their business. Which would you prefer for your once-in-a-lifetime moment? Non full-timers have limited availability to begin with, as their schedules are controlled first-and-foremost by their full-time employer. Full-time photographers / videographers / cinematographers are their own employers (or work closely with their employer) and can be flexible to your convenience. With part-timers or weekenders, you’ll be competing with their family, friends, and social lives for the remaining 3-4 hours of free time (usually less) per day they (might) have to devote to serving you. The full-timer values your relationship so much more. Full-timers get up in the mornings and work to exceed your expectations because you are the one investing in them and putting food on their tables. Their financial loyalties aren’t divided, and because of that they invest their time and energy to create something that is worth what you have paid—not only to make sure you are happy this once, but also that you would come back again one day when you have photo / video / cinema needs in the future. All because your experience was so good. Turnaround time is a big distinction as well—full-timers commit 10-12 hours (usually more) each day to their work, and your wedding or session is getting processed sooner and faster than someone who can only commit to a few hours every few days. It takes regular skill to process and edit a full wedding, and you’ll probably be disappointed on how long you must wait if you don’t hire a full-timer. Do you have any additional advice or suggestions for other brides about why to hire a full-time professional? Share them in the comments below! Intangibly, it means the wedding photographers / videographers / cinematographers have experience and expertise with their field of services and products. Legally, it means the wedding photographers / videographers / cinematographers have a business license and tax registrations to offer the goods and services you’re paying for. 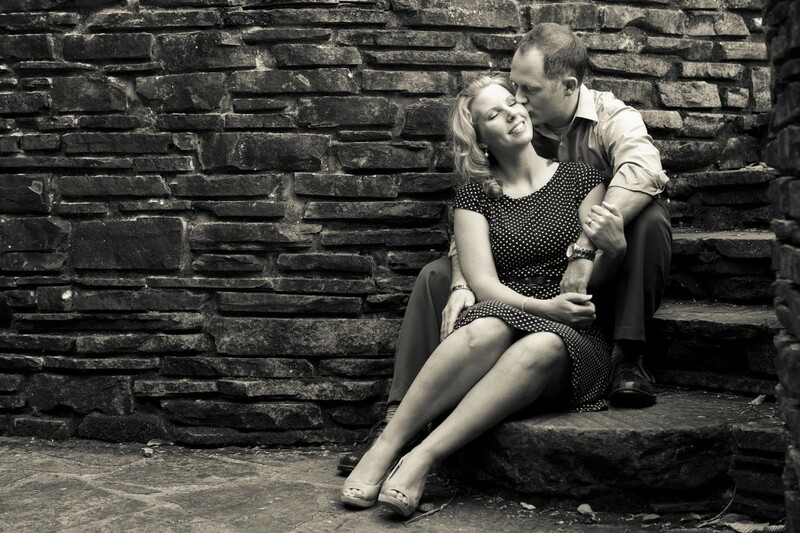 This photograph was taken in an area with a lot of unappealing brick architecture, but we found an angle that makes the couple look like they are in a beautiful, lush garden. Professionals know how to respond to less than ideal situations, which your Uncle Sal or cousin won’t be able to handle. Poor conditions, malfunctioning equipment, (that one thing you hope won’t go wrong but probably will), and more can adversely affect an amateur with a camera, not to mention they haven’t come close to mastering their equipment and couldn’t respond to changing conditions with remarkable speed. Professionals alleviate the headaches and work around the problems as if everything was heavenly—because of their experience and expertise. Professionals will charge you tax on the items they sell that are taxable (even if you pay cash). This is not a bad thing (though it always stinks to pay sales tax). 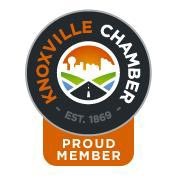 It means they are a responsible businesse and contributing to the growth of our local and state community. Professionals will have insurance for their equipment (if something bad happens to their equipment), for liability (if something bad happens to someone while they are working), and for indemnity (if something bad happens during a shoot that can’t be fixed—like a wedding). Do you have any additional advice or suggestions for other brides about why to hire a professional? Share them in the comments below! Preface: Offering Knoxville Wedding Photographer / Cinematographer / Videographer services, we see lots of weddings and have unique insights from our experiences that can help you plan an even more wonderful wedding experience. Sit back and enjoy our “expert” advice series to make your wedding day ah-mazing! Knoxville Wedding Photographer Advice Starts Here! There are SO many details to make decisions on when planning your wedding day—you, the bride, of all people know this by now. Dresses, venues, coordinators and designers, décor, and much more. To give perspective to those of you who are early in the planning process (or the bridesmaids or groom-to-bes who may be doing their homework), we have 28 unique wedding vendor categories listed on our Knoxville Wedding Professionals directory (check it out when you’re done with this post) here at Knox Wedding Creative, and you are probably going to have to make a decision to invite at least 24 of those vendors into your big day—probably more! This location is most likely where you and your bridesmaids will start the day—and set the tone for at least the next few hours. Make it a good start! Many of your most beautiful photographs occur during these preparations, and you want the backdrop to be *almost* as beautiful as you are! There needs to be plenty of space for everyone to get ready in the same room. This time is special and social—you want to enjoy it together! The space you use needs to have all the amenities you’ll need for preparing, from sink space to outlets to a kitchen for snacks and food. Wherever you decide to get ready, just make sure you’ve planned to be there! You’d hate to wait until the last minute and be stuck in an ugly bathroom or church basement where it is very dark, the lighting is terrible, and the décor is dingy and old. Do you have any additional advice or suggestions for other brides to use in planning? Share them in the comments below! Robbie + Jason’s Cinematic Wedding Movie Trailer: "Unexpected Blessings"
Without a doubt, Robbie and Jason’s wedding at the Museum of Appalachia was one of the most beautiful, fun, and exciting “gettin’ hitched” days we’ve ever had the privilege of capturing! See a few of the highlights for yourself in the Official Trailer for their wedding film, “Unexpected Blessings” below (the feature film is embedded at the bottom of the post). Over the course of the year (we first met Robbie and Jason at the Pink Bridal Show in January), we have been so blessed to get to know this quirky and cute couple! They have such a great sense of humor, and from a wedding cinematographer and engagement photographer’s viewpoint, they could not have been any easier or more fun to work with. One of the really fun products we love to create for our couples is authentic wedding movie posters from their engagement experience images! It’s full-sized and printed just like the real movie posters you see in theaters every week…except we have an amazing new wood frame vendor that takes the presentation of these beautiful posters to an unparalleled level! During our bride and groom cinema interviews (where we film exclusive and special interviews of the bride- and groom-to-be a week or two before their wedding), we were all worried about the impending weather that has plagued weddings all year. Luckily it passed the day before their wedding day! Their outdoor ceremony was gorgeous in front of the Hall of Fame mansion at the Museum of Appalachia, as the sun was peeking through the trees surrounding the lawn. The venue was adorned with wonderful flowers and decorations from the talented Samuel Franklin, which only set the stage for what can only be described as a magical wedding ceremony. From the bride arriving in a white horse-drawn carriage to the impeccably-timed music from Jim Ogle of Special Notes Entertainment Agency as each member of the wedding party entered, this was truly a special occasion. The reception was entertaining, again thanks to Jim Ogle and Special Notes, and the cakes were beautiful as well…especially the groom’s cake, which was a sketchpad with a self-portrait sketch of the couple drawn by Jason himself! A special thanks to the Museum of Appalachia staff, Jim Ogle of Special Notes Entertainment Agency, Sam Franklin, and Perfect Capture Photography for being such incredible vendors to work with! The other vendors (listed on their wedding movie poster) also did a great job: Nancy Kendrick (Wedding Planner), Magpies (Cakes), Creative Catering, White Lace & Promises (Her dress), Savvi Formalwear (His tux), Markman’s Jewelers (rings), Chaplain Fred Patterson (Ceremony Officiant), All Occasions Party Rental, Mary Kay, New Release Salon, and Cottontail Press. Lastly, thank you to the award-winning and extremely talented photographer, Sheila Hannus, for her hard work as a second video shooter! She did an excellent job and many of her shots are in the trailer above. For more information about Robbie and Jason’s love story, please visit robbieandjason.knoxknot.com. Discover how Knox Wedding Photo + Video can tell your love story by calling 865.229.6673 or contacting us! http://knoxweddingcreative.com/wp-content/uploads/2013/09/KWPV_2013_Poster_Leinart-McDaniel-web1.jpg 1800 1200 The Knox Wedding Creative Team http://knoxweddingcreative.com/wp-content/uploads/2014/03/KWPV_logo_2014_nowords_favicon1-300x300.png The Knox Wedding Creative Team2013-09-27 21:22:282014-04-14 22:51:11Robbie + Jason's Cinematic Wedding Movie Trailer: "Unexpected Blessings"